Dr VK Vijayan�was the Former Director of the Vallabhbhai Patel Chest Institute (VPCI), University of Delhi (1998-2011) and is the Advisor to Director General, Indian Council of Medical Research (ICMR) at National Institute for Research in Environmental Health (2012- ) and at Bhopal Memorial Hospital & Research Centre (2012-15) at Bhopal. He was the Former Officer-in-Charge of the Viswanathan Chest Hospital attached to VPCI and Head of the Department of Respiratory Medicine at VPCI. He was a member of the scientific staff of the ICMR from 1977 to 1998 and had established the Cardio-Pulmonary Medicine Department for ICMR at Chennai. He is now working as Senior Consultant in Medicine and Chest Diseases and Deputy Medical Director at Baby Memorial Hospital, Kozhikode. Dr Vijayan�had his medical education in Calicut Medical College, Kozhikode where from he took his MBBS degree (Kerala University). He did the postgraduate diploma course in Chest Diseases from the Vallabhbhai Patel Chest Institute (University of Delhi) and MD in General Medicine from the Lady Hardinge Medical College (University of Delhi), New Delhi.. He obtained PhD degree in Medicine from the University of Madras and received the DSc degree from the Tamil Nadu Dr. MGR Medical University. He was selected as Talent Search Scheme Senior Research Fellow (First batch), Indian Council of Medical Research. He has been a fellow of many scientific societies including National Academy of Medical Sciences, American College of Chest Physicians, International Medical Sciences Academy and Asian Pacific Society of Respirology. He had pursued advanced training in Pulmonology and Cardiology from Brompton Hospital and National Heart Hospital, London, UK under the Colombo Plan and in Fibreoptic Bronchoscopy and Bronchoalveolar Lavage from the National Heart, Lung and Blood Institute, National Institutes of Health, Bethesda, USA under the Gandhi – Reagan Science and Technology Initiative. Dr Vijayan was a visiting Scientist, International Exchange Programme to sign Memorandum of Understanding between V.P. Chest Institute and Osaka University, Japan. 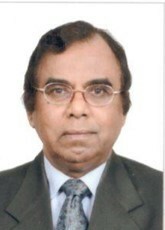 Dr Vijayan’s major areas of research include tropical eosinophilia, studies on Bhopal Gas Disaster victims, pulmonary function, chemotherapy of tuberculosis, exercise physiology, studies on tobacco cessation, rheumatic heart disease, bronchial asthma, chronic obstructive pulmonary disease, bronchoalveolar lavage studies, cardio-pulmonary rehabilitation and sleep-related breathing disorders. His work has clearly established that permanent lung damage can occur in MIC gas exposed subjects at Bhopal and this was commented editorially by the European Respiratory Journal. Dr. Vijayan was the recipient of many awards/honors including ICMR National Awards (�Prof. B.K. Aikat Oration Award� and �Amrut-Mody Unichem Prize in Chest Diseases�); Calicut Medical College Alumni Oration; Silver Medal for the best paper presentation at the 9th International Conference on Occupational Respiratory Diseases organized by the ILO, Kyoto, Japan; best Paper award and the Saroj-Jyothi Award of the Indian Chest Society; Medicine Endowment Lecture Award of the University of Madras; Ranbaxy-Robert Koch Oration award of the Tuberculosis Association of India; DN Shivpuri Memorial Oration of the Indian College of Allergy and Applied Immunology; Dr. O.A. Sarma Endowment Lecture Award, Tuberculosis Association of Andhra Pradesh; �Prof. K.C. Mohanty Award�, Tuberculosis Association of India; Shrimati Yashodhara Memorial Award by the Indian Chest Society; Prof. A.K. Nag Choudhury memorial lecture, Pharmacological Society of India; National College of Chest Physicians (I)-Cipla Oration; �Award for Eminence� in Cardio-Pulmonary Medicine, the Tamil Nadu TEA; Dr Prem Sobti�ABC Foundation Excellence Award for the Best Chest Specialist of India of the National Chest Institute and Research Centre, New Delhi; Sir Ronald Ross Memorial Oration of the Postgraduate Institute of Medical Education and Research, Kolkata; Rashtriya Rattan Award for excellence in Medical Science by the International Study Circle affiliated to the Institute of Economic Studies, New Delhi; Dr Santosham Memorial Oration of the Indian Association For Bronchology; 14th�Foundation Day Oration of the Biotechnology Society of India, National Science Day Oration of the Defense Institute of Physiology & Allied Sciences; Environmental Medical Association�Dr KC Mohanty Oration, Smt. Pushpa Sriramachari Foundation day Oration of National Institute of Pathology (ICMR), Indian Sleep Disorders Association Oration, Indian Sleep Disorders Association and �Vocational Excellence Award 2015� by the Badagara Rotary International. He has served as a member of the statutory committees of the University of Delhi including the University Court, Executive Council, Academic Council and Board of Research studies (Faculty of Medical Sciences). He was the Member-Secretary of the Governing Body, Scientific Advisory Committee, Standing Finance Committee and Institutional Ethics Committee of VPCI. Dr Vijayan was a member of the Scientific Advisory Group of the Division of Non-Communicable Diseases, ICMR, is a member of the Scientific Advisory Committees of National Institute of Occupational Health, Ahmedabad and National Institute for Research in Environmental Health, Bhopal. He was a member of the Bhopal Memorial Hospital and Research Centre Advisory Committee. The Vision Document for the National Institute for Research in Environmental Health under ICMR and a Guideline for Management of Chronic Obstructive Pulmonary Disease in MIC exposed subjects at Bhopal were prepared under his Chairmanship. He was the International Governor and the International Regent of the American College of Chest Physicians; Vice President, World Lung Foundation, South Asia; President, Indian Association for Bronchology; President, Indian College of Allergy, Asthma and Applied Immunology; Founder President, South Asia Association of Allergy, Asthma and Clinical Immunology; Founder President, Society for Tobacco Control; Founder President, Society for Nitric Oxide and Allied Radicals; Founder Vice-president, Pulmonary Pathology Society of India and Founder Vice President, South Asia Thoracic Society. He was the Chair of the Clinical Respiratory Medicine Assembly of the Asian Pacific Society of Respirology (APSR) and was a member of the Executive and Central Planning Committees of APSR. Dr Vijayan was the Editor-in-Chief and Publisher of the Indian Journal of Chest Diseases and Allied Sciences and was the Editor of �Lung India�, official publications of National College of Chest Physicians (India) and Indian Chest Society respectively. He was a member of the Editorial Board of many Journals including the Chest, the World Allergy Organisation Journal and Austin Journal of Sleep Disorders. He is a reviewer for many peer reviewed international and national medical journals. Dr Vijayan was an Inspector of the Medical Council of India (MCI) and Assessor of the National Board of Examinations for starting or continuing degree and diploma courses. He was also a member of the curriculum development committees of MCI for DM (Pulmonary Medicine), DM (Infectious Diseases), MD (Pulmonary Medicine) and DTCD courses. He was a guide/co-guide of several PhD and MD theses and was an examiner of PhD, DM and MD courses of several Universities and Postgraduate Institutes. He has over 250 publications to his credit. Many standard medical text books have quoted his research findings. He has been invited by several academic institutions and scientific societies including American College of Chest Physicians, American Thoracic Society and Asian Pacific Society of Respirology as a faculty member and has delivered lectures on more than 800 occasions. He has been an expert member of various health-related committees and selection committees of Government of India, Indian Council of Medical Research (ICMR), Department of Biotechnology (DBT), Department of Science and Technology (DST), Defense Research and Development Organisation (DRDO), Council of Scientific and Industrial Research (CSIR), Union Public Service Commission (UPSC) etc.